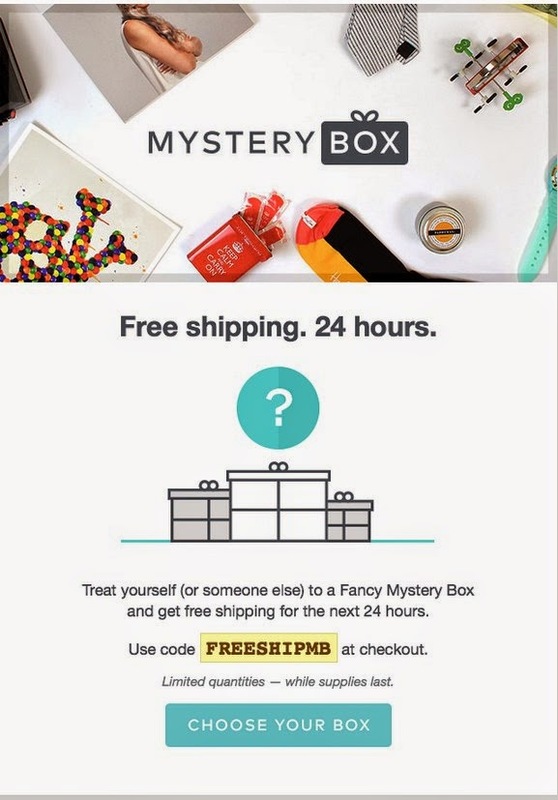 A.M. Polishes: Fancy Mystery Box Free Shipping Promotion! Fancy Mystery Box Free Shipping Promotion! Fancy is having a special promotion for their Mystery Box. If you are not familiar with their Fancy Mystery Box, they are boxes that come in $10, $20 and $40 varieties that have a mystery selection of items in them. Each box contains a different assortment of products. Starting Monday, June 30th, Fancy will be offering free shipping on all Fancy Mystery Box for 24 hours. All you need to do is go to Fancy.com, purchase a mystery box, and enter the code at checkout.